Full confession: I used to be the captain of team “Ankle Weights are Stupid Unless You’re Jane Fonda.” When used with proper form, they’re a great addition to your home gym arsenal. Invest in a pair of the ultimate glute-training game-changer, and your lower body will never be the same. Made with pride in the good old USA. Durable, lightweight, and protective, this is the only squat pad worthy of precious space in your gym bag. Don’t leave home without it. Truths of life: the thrust is a must, and, size matters. The thickest, most ergonomically-designed pad on the market, specifically tailored for hipthrusting. Worth every penny for the gains. Grossed out by those dingy ankle cuffs at the gym? That makes two of us. Hit all those juicy abduction moves in ease and comfort while increasing glute strength. The possibilities are endless with the ISO Thigh PRO. Booty-building bands that take a beating? Yes, please. The heavyweight set is my top pick, but go on ahead and use code NRONBF15 for 15% off the entire range of NeeBooFit products on Amazon. Love a latte but pressed for counter space? Forget Starbucks and grab one of these handy, space-saving frothers. Talk about putting the life in Fairlife. Lemon zest gives life meaning. This is also my go-to tool for getting garlic just right for dressings and other recipes that benefit from a melt-in-your-mouth texture. Does anyone remember Ja Rule’s 2000 summer jam “Put It On Me”? He asks “where would I be without you,” opining the thought alone is so painful it might break him. He may very well have been crooning to his Cuisinart Mini Prep Plus. I bust this genius little devil out of the cabinet every day – at least twice. Not only does it make quick work of all my favorite sauces and marinades (pesto and green salsa, anyone? ), it pulls double duty pureeing fruits and veg for baby. Be without my Mini Prep Plus? I shudder at the thought! This compact, countertop convection oven is my go-to for roasting vegetables, baking quick breads, and making the crispiest bacon. I especially appreciate not turning on my full-size oven as the weather gets warmer, and this is just the right size to fit my Staub Cocotte for dishes like pulled pork. Essentially the best wedding gift ever. Thanks, Mama (grandma). These truly nonstick pans take a lickin’ and keep on tickin’ with daily use. They’re just as adept at turning out perfectly baked salmon and roasted broccoli as they are a batch of coconut macaroons – a match made in heaven with the Breville. Clear multi-taskers with multi-colored lids for organized storage. ‘Nuf said. Still fighting traces of mascara after what you THOUGHT was a thorough face washing? That struggle is over, thanks to this olive oil-enriched, clean-rinsing Japanese import. Quite possibly the last cleansing oil you’ll ever buy. 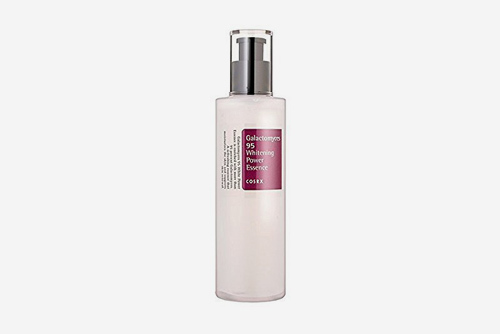 Ferment your face with this lightweight, brightening serum that pulls double duty fighting wrinkles and discoloration. If you’re going to invest in one K-Beauty product, this is it. Check out my full review here. This soothing, vitamin-enriched, multitasking balm hydrates sans irritation. Suitable for even the most sensitive skin types (including babies! ), it might be crown jewel of this iconic French brand’s collection. Can’t beat the price, either. Prestige-brand mascara? I’ll pass. The boldest of the Voluminous family, Miss Manga boasts a comb-like brush and flake-free formulation. Looking for extra “pow” factor? Pair it with the Voluminous primer. A dime-sized amount of this cleanser is all you need, and the toner is as calming as its namesake cup of tea. Buy online and get hooked up with 3 free samples with every order. How much do I love dry shampoo? So much that I sometimes spray it onto clean hair. A must for post-gym hair or locks longing for that extra “oomph.” Suave, Batiste, and Oscar Blandi are my favorites.